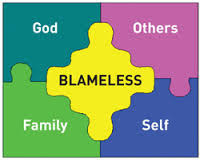 Paul completes his description of what “blameless” looks like for a candidate for leadership in the church. It is a long list, and when the qualifications from his letter to Timothy (1 Tim. 3:1-7) are added, the list becomes even longer. Yes, that reason is directly attached to “holding fast the faithful word…”, but it is only a western mind that could possibly separate this verse out from all the rest without seeing the connection. The connection is called by the critics “walkie-talkie”—does your walk match your talk? Or, your actions speak louder than your words. Truth is not imparted mind to mind. Truth is imparted life to life. We have an overabundance of leaders in the church (and in government) who are skilled at public speaking, but lack the necessary quality of integrity—integrity being that quality which allows the life to line up with the mouth. Therefore, the purpose of being blameless is to give power to one’s words. The concept of sound doctrine has been discussed before when we were looking at the process of deception. It is the whole of what is taught in your church, not just the basic tenets found in the Statement of Faith for your church. Sound doctrine for the Christian can only be that which is in accord with Scripture. For us, Scripture is the Bible. Healthy teaching must be what the Bible teaches. But, how does the average person “know” what the Bible teaches? Biblical illiteracy is at an all-time high, at least in our country here in North America. The reason this joke works—“how many animals did Moses take with him on the ark?”—is due to this rampant illiteracy. How did this happen? How did we as a people become so ignorant of the Book we claim to believe? There are a multitude of factors contributing to this growth of ignorance, some of which I will list here. People have quit reading the Bible for themselves. They go to church once or twice a week, and whatever amount of Scripture is used, it is flashed up on the screen for them to look at while the preacher is talking. This has caused many to quit taking their Bible with them to the gathering of the church. Many are satisfied to use their smartphone to follow along, which actually produces the same result—a lack of context. With a lack of context, it is fairly easy to present whatever point is trying to be made—which brings us to the next contributing factor. Now, however, there are few people who consistently listen to just one or two teachers. Find a church where the Bible is explained, not just talked about or preached from. Begin a daily habit of Bible-reading. Do not hire a pastor who is not a Bible teacher. Get out your hard copy of the Bible and take that book with you to church and use it.